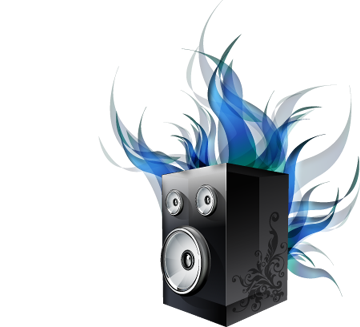 SoundPimp is a software surround technology that radically enhances the quality of computer audio. For a head-on impression of the incredibly realistic SoundPimp effects, we suggest that our audio enhancer demos serve better than a thousand words. 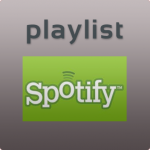 And if SoundPimp has been installed on the computer, we also recommend the playlist material concurrently being created in Spotify or elsewhere, offering another head start introduction to SoundPimp benefits. Would you like better sound quality on your computers ? It means you have arrived at the right place! SoundPimp audio enhancer software with High Definition Stereo (HDS) is an innovative technology that truly enhances the natural sound quality and listening experience of computer audio. It is a product for all people with passion or longing for natural and sweet, but realistic sound! Whenever there is a stereo audio stream running through a computer and out on loudspeakers, SoundPimp should definitely be invited. One of its fundamental building blocks is High Definition Stereo (HDS), a digital technology running live and working on the fly, actually examining the audio stream many, many thousands of times per second, sample per sample. Any error is promptly corrected applying extremely advanced intonation algorithms so as to restore the smooth and breathtaking soundstage of reality. The SoundPimp audio enhancer working principles are basically error corrective rather than manipulative. The result is an exact sound which is so much more obedient and true to the original than normal stereo, and this is why we call it natural sound. Read more about the SoundPimp audio secrets, or read reviews and testimonials for a quick at glance overview. SoundPimp is cross platform and incredibly easy to install and control. It doesn’t care one bit which operating system or media player you are using, and it handles all audio streams; mp3, flac, wav, or whatever. SoundPimp is just so built as to be completely compliant to all these types of scenarios. It runs quietly in the background, exactly as you decide. Period. One important benefit of this compliance is that you always get enhanced audio quality, not just from some proprietary Winamp plugin. So there will be no obviation needs just because you are watching a You Tube video. Another obvious use is mobile phones and mp3 players connected to a stereo docking station via Bluetooth. We have amazing mobile products in the pipeline, sign in for our newsletter and we will notify you on near future product availability. Also see our user audio enhancer guidelines for computer audio, not to mention the recommended gadgets section that might give useful hints and examples on proper product combinations. SoundPimp’s main component is High Definition Stereo (HDS), an ingenious technology in software that opens up for a more exact and natural sound than traditional stereo. Sonic improvements are most often audible as a general refinement. While stereo tends to limit the soundstage in between the 60 degree loudspeaker angle, SoundPimp is definitely stepping past this artificial boundary, filling the room with a holographic and ambient soundstage, rich with natural timbre and sweet, life-like sound. Properly configured, SoundPimp can create spellbinding audio realism and can even generate useful sound qualities from built in laptop speakers. Not that such speakers all of a sudden will start to produce realistic bass levels, but never the less, there may arise immensely pleasing sensations of musicality, because the listener becomes totally embraced with a holographic soundstage containing those “golden overtones” that brings real life to the listening experience. And so the boomy bass is not important. On more exclusive stereo equipment, SoundPimp may be nothing else if not a little revelation, and the final answer to the endless quests of audiophile investigations. And as always, the better the stereo gear, the stronger the benefits. 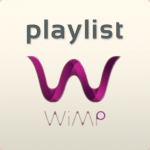 Being compliant and transparent to all commonly used multimedia codecs, be it wav, mp3, Flac or whatever, SoundPimp will enhance the sound quality on almost any multichannel audio stream. And of course, the true potential of HDS can really be exposed when combined with top quality multichannel systems utilizing 192 kHz sample rate and 24bit sampling. Try SoundPimp on your own equipment, perhaps starting out with a pair of laptop or computer speakers. Once installed, it will work flawlessly on absolutely all stereo audio streams running through the computer, whether stream origin is the local harddrive or a streaming services offered by YouTube, Spotify, GrooveShark, Wimp, Rhapshody, or similar.